Good bread is the most fundamentally satisfying of all foods; and good bread with fresh butter, the greatest of feasts. 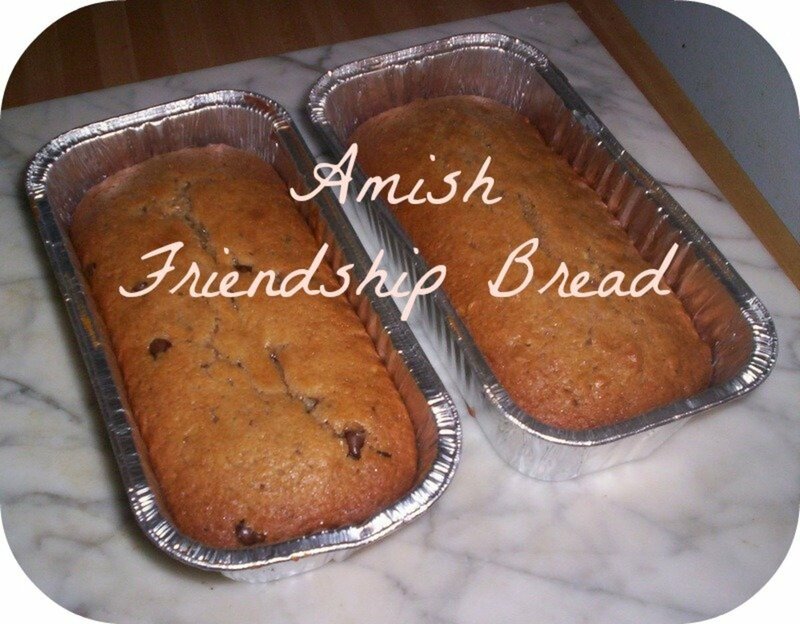 A few weeks ago I helped you create a perfect loaf of bread. Today we are going to use those same easy techniques to make focaccia. a large, round, flat Italian bread. 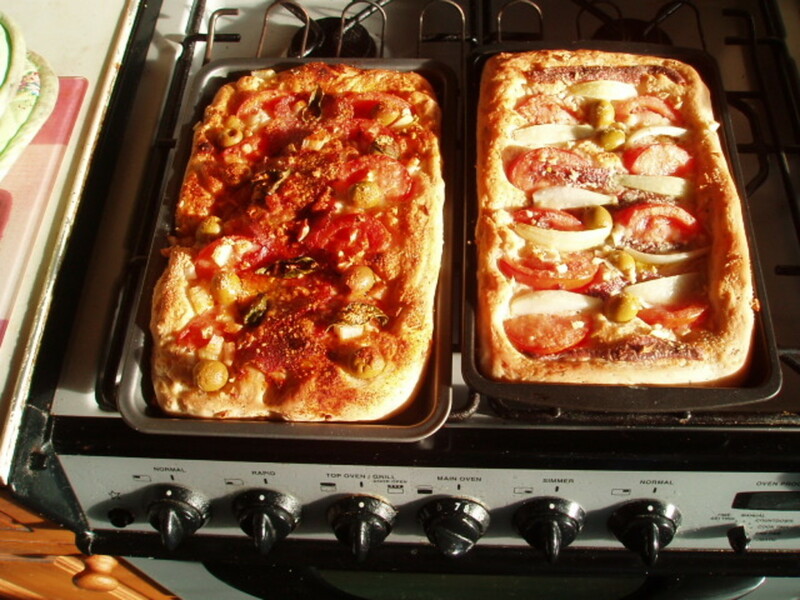 a flat oven-baked Italian bread product similar in style and texture to pizza dough. a beautiful golden Italian flat bread made of yeast, flour, water, fruity olive oil, and sea salt -- humble ingredients, the sum of which is much more magnificent than the individual parts. Etymologists tell us that the name 'focaccia' is derived from focus, the hearth on which this popular flat bread was baked by ancient Romans. 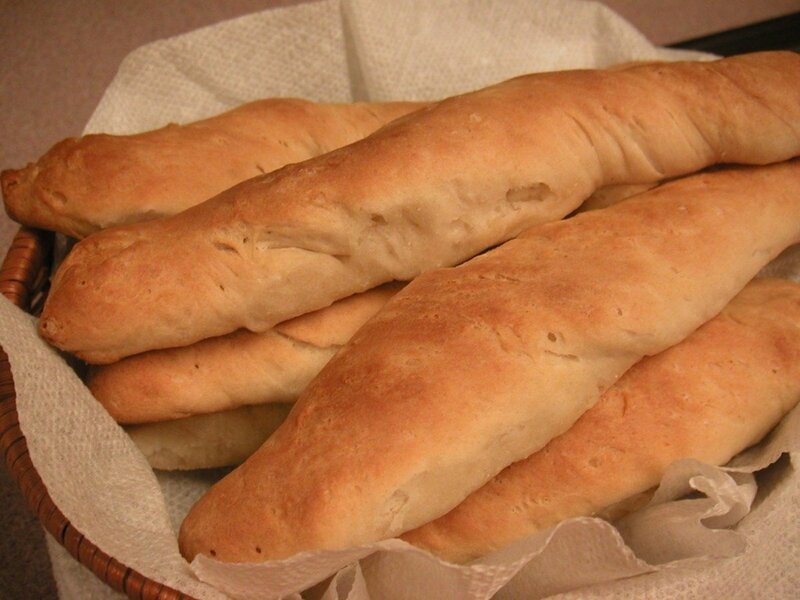 And because of the vast extent of the Roman Empire, panis focacius (hearth bread) spread all around the Mediterranean. 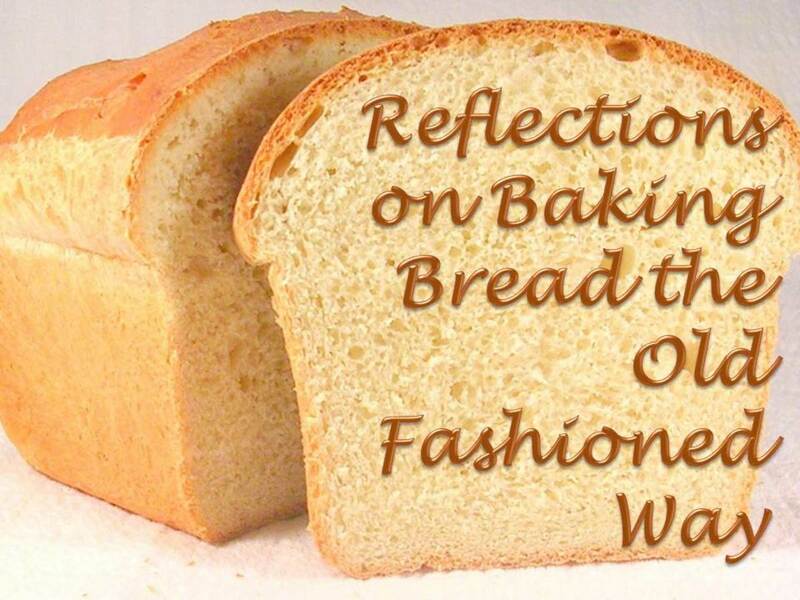 Yes, unleavened breads are even older (think of the Israelites under the thumb of Egyptian royals or manna in the desert), but focaccia, although flat is not an unleavened bread. 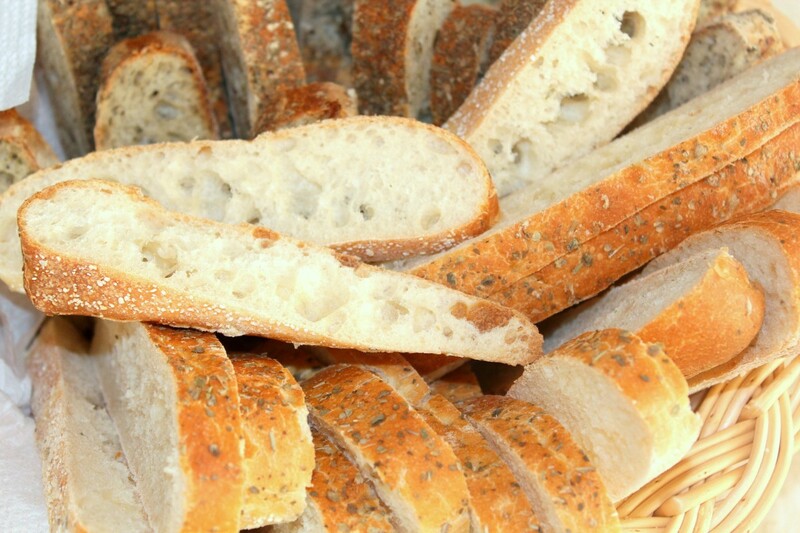 Natural air-borne yeasts gave rise (literally) to the type of bread we recognize today. If you have read my post on making a perfect loaf of bread, none of this will be surprising to you. 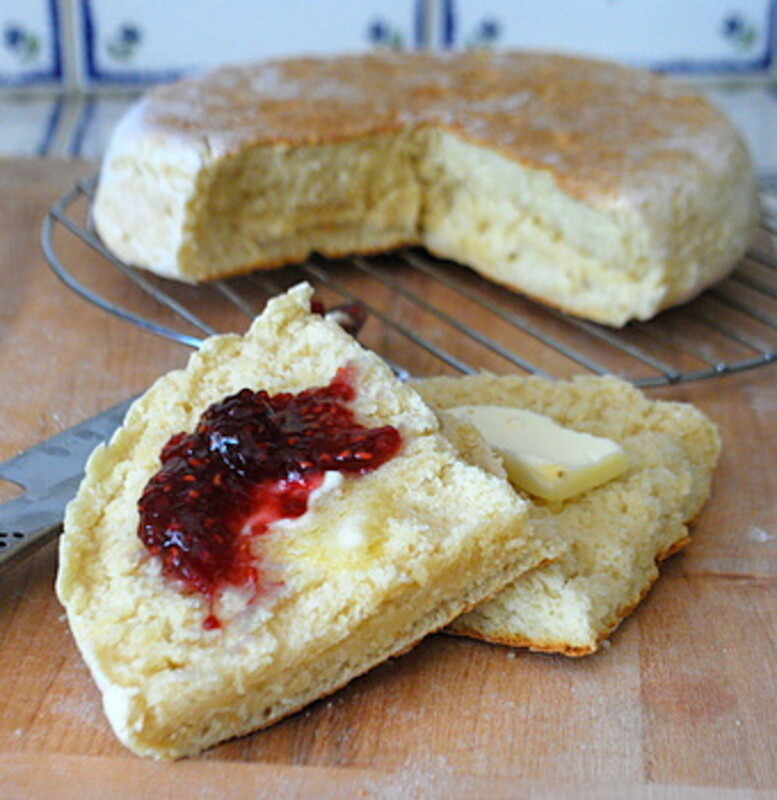 But if perchance this is your first thought of making bread at home, I think that you will find this recipe (1) most forgiving and (2) extremely easy and (even) fun. In a small bowl combine 1/4 cup of the warm water, sugar, and yeast. Let sit 10 minutes or until bubbly. In a large mixing bowl combine flour and salt. Make a well in the flour; add the bubbly yeast mixture, the remaining 3/4 cup warm water, and the olive oil. Stir to combine. 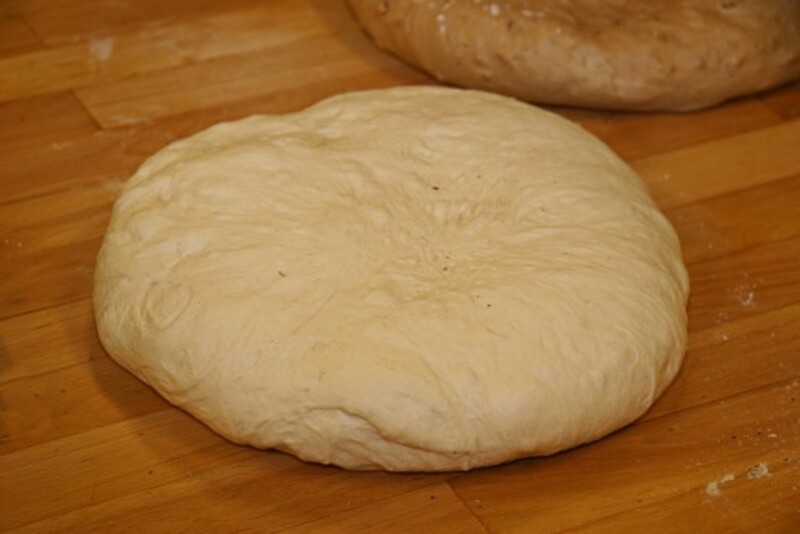 Turn the dough out onto a well-floured work surface and knead until the dough is smooth and elastic, about 10 minutes. 4. When you have finished kneading, place the dough in a large, lightly greased mixing bowl. Turn the dough over in the bowl so that the entire ball of dough is greased. Cover the bowl with plastic wrap and set in a warm place, away from drafts. 5. Let the dough sit in this cozy safe place until doubled in size, about 1 hour. One way to test if the dough has risen enough is to lightly and quickily press two fingertips into the dough about 1/2 inch. If the indentation remains, the dough is ready for the next step. 6. 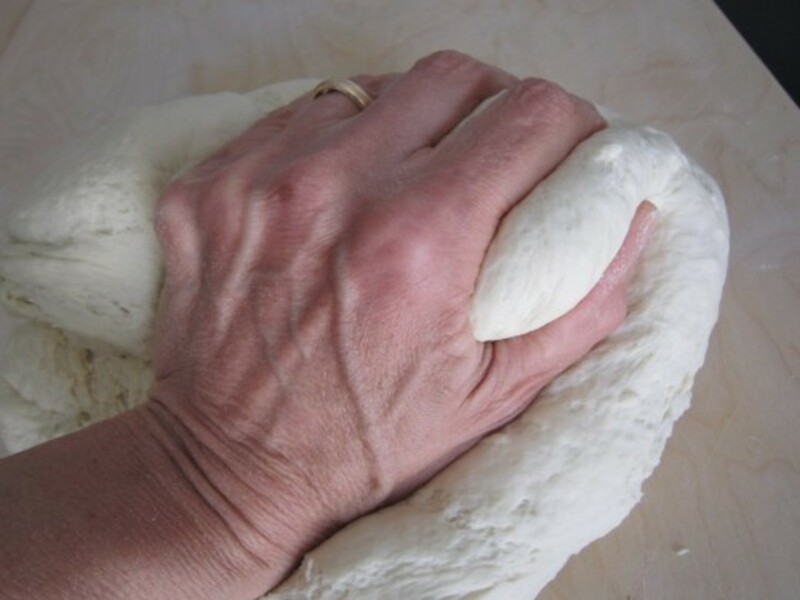 Punch down the dough by pushing your fist into the center of the dough. Pull the edges of the dough to the center, and then place the dough on a lightly floured surface. It will be smooth and bubbles will be visible under the surface. 7. Brush baking sheet with 1 tablespoon of olive oil. 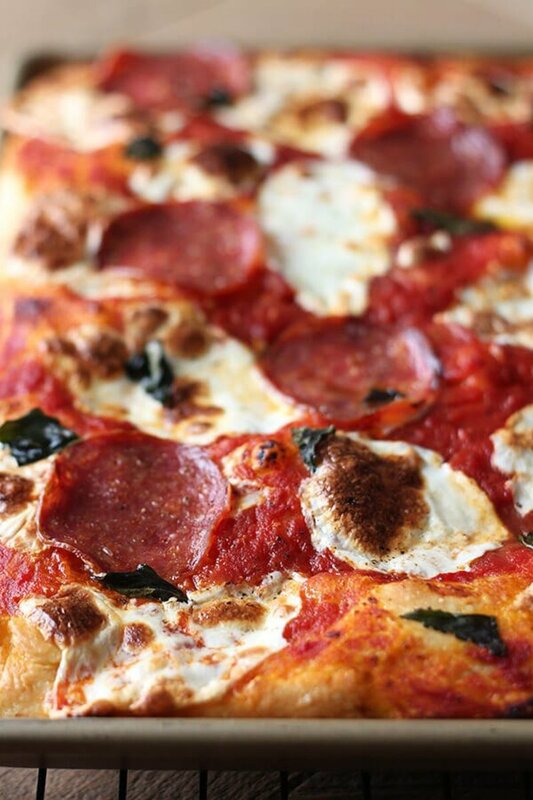 Place the proofed (and punched down) dough onto the prepared baking sheet and pat into a 10-inch by 8-inch rectangle. 8. 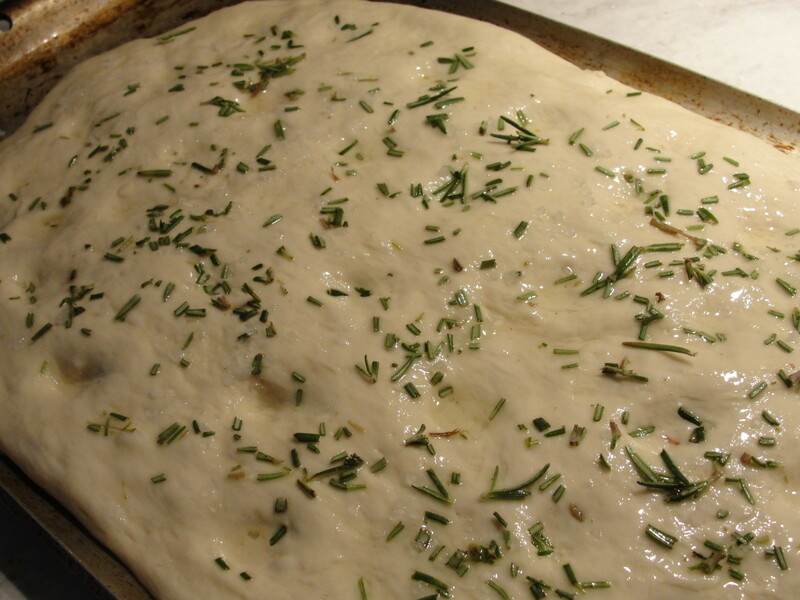 Brush the surface of the dough the the remaining olive oil; sprinkle with the rosemary and coarse salt. Dimple (indent) the surface of the dough with your fingertips. 9. Let the dough rise in a warm, draft-free place until puffed and doubled, about 45 minutes to an hour. 10. Bake in preheated 350 degree oven for 30 minutes or until golden on top. Serve warm. So, that's the basic recipe. Of course you can omit the rosemary if you desire a very simple, basic loaf. Or you can add fruit, cheese, tomatoes, meat--whatever you want. 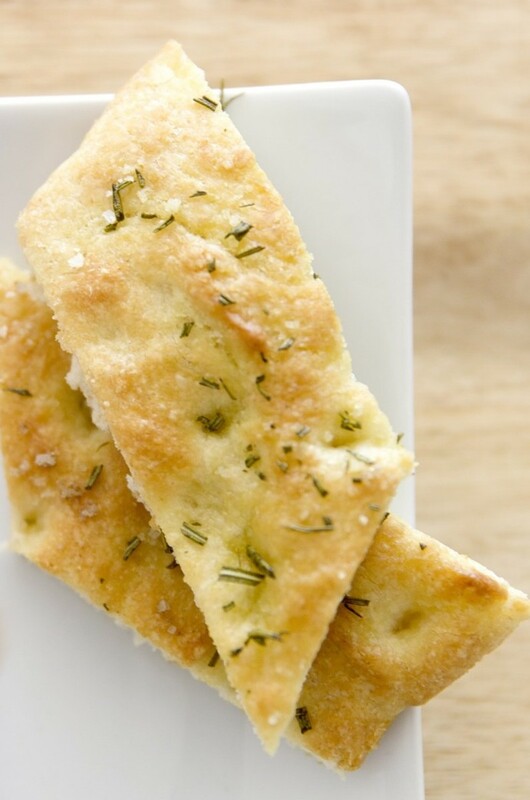 Here are some recipes to help you expand focaccia from a simple bread to an appetizer, main dish, or dessert. 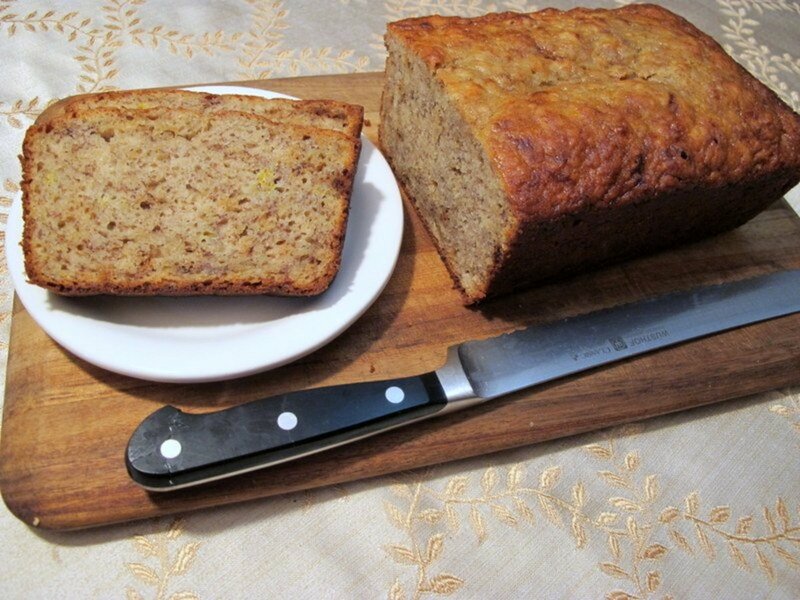 Jennifer is a food blogger in Ontario, Canada who loves to share simple, seasonal recipes, that don't take a lot of time but produce the most delicious results. One of her creations is this recipe for focaccia with sweet apples and salty/tangy aged Cheddar cheese. Wouldn't this be perfect as an appetizer with a glass of crisp white wine or some sparkling water? I have a background in food science and nutrition, and started Foodess as a creative outlet during a particularly heavy part of my degree. Science labs and chemistry textbooks were kind of sanitizing my reasons for choosing a food path in the first place: a love of cooking and a life spent obsessing about what I could eat next. I began my career with a lovely little job developing recipes in a test kitchen and providing technical baking support for a flour company. I now work full time as a blogger, with a bit of freelance food photography, recipe development and food writing on the side. Tessa Arias is everything I want to be when I grow up—she has a culinary degree, over 6 years experience in food writing, a blog, and a published cookbook. 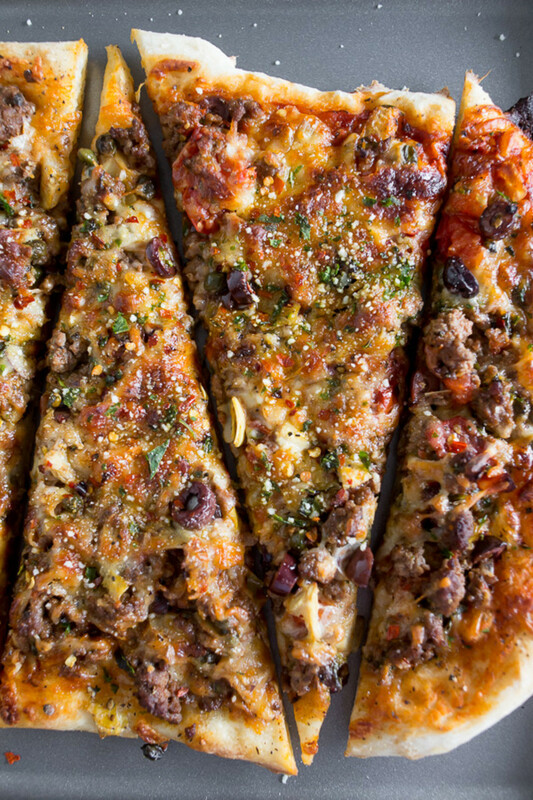 And she created this savory, meaty, cheesy pizza-like focaccia. "Puttanesca" is a type of pasta—garlic, and tomatoes (of course), but brightened with the addition of briny capers. Brandy (aka Nutmegnanny) has taken those familiar flavors and plated them on a savory tomato-y flatbread. Anjana is located at the corner of "Happy and Harried", a sweet blog filled with crafts, pretty photographs, tasty foods, and sweet treats. 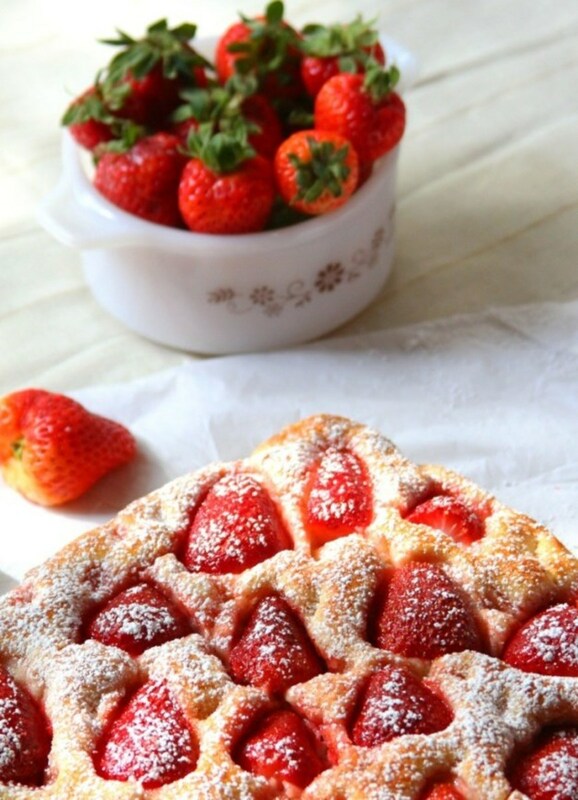 She created this Strawberries and Focaccia recipe which I absolutely LOVE. The flavors remind me of a turnover my German-Russian mother baked years ago when I was a child—yeast dough filled with sugar-simmered strawberries. Shauna - The rosemary is sooo good, and I have a bountiful supply with a bush almost as tall as me (...well, actually that's not saying much). The aroma while it bakes is Heavenly (yes, the capital H is appropriate LOL). Admittedly I have not tried the strawberry dessert version because fresh berries are not available at this time of year, but next Spring I will certainly put that one in the rotation. Best wishes to you for a Happy New Year. All these photos are making me hungry! I can almost smell the bread. The rosemary focaccia looks yummy. They all do, but I love rosemary! Paula - You've made my day. And you've made me hungry. I was going to have a bowl of cereal, but now all I can think about is butter (melty, of course) and jam. Thank you for your kind words, your encouragement, and for stopping by. OMG! Carb Diva....How could you??! My weakness...my first food- love...BREADS!!! All kinds, forms, types, flavors, shapes....YUM ! I'm drooling over here! 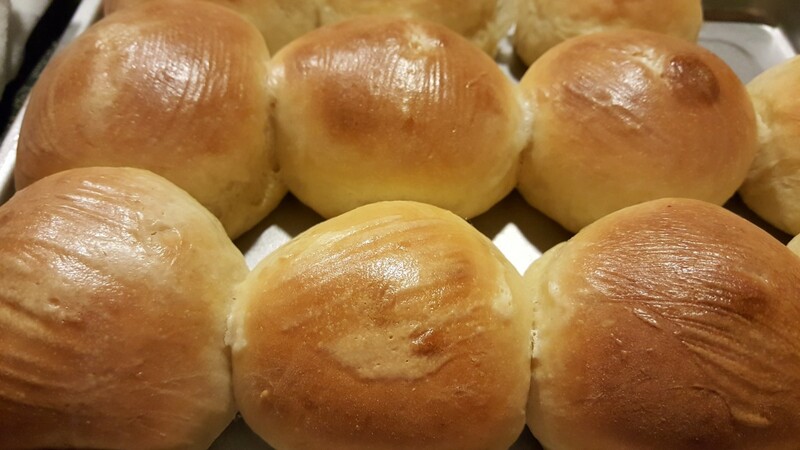 I will be dreaming now of fresh, warm from the oven, homemade breads dripping with butter & creams and jams and sauces......I think I'm gonna die from desire!!!!! LOL. 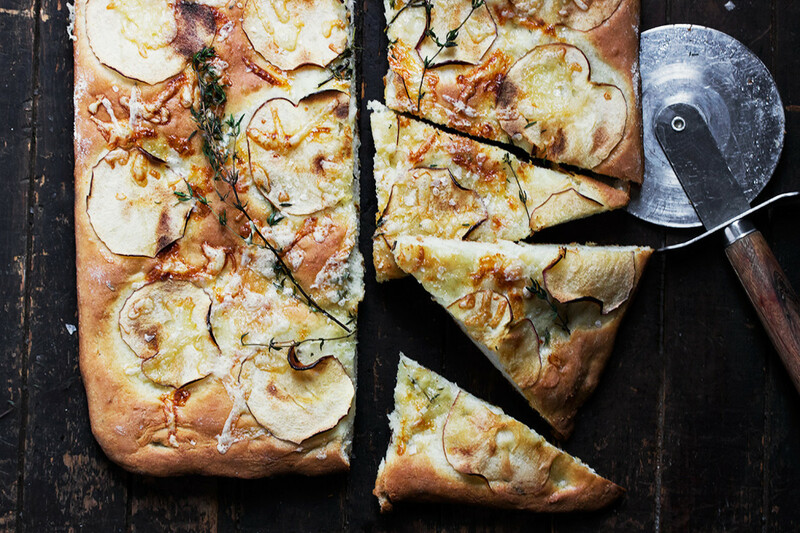 Flourish, there is bread, and then there is focaccia. Focaccia with homemade pesto would be Heavenly. Thanks for visiting. Love to you this Christmas. My dad makes his own pesto and this would go so well with it. I like that you're on a bread kick right now. 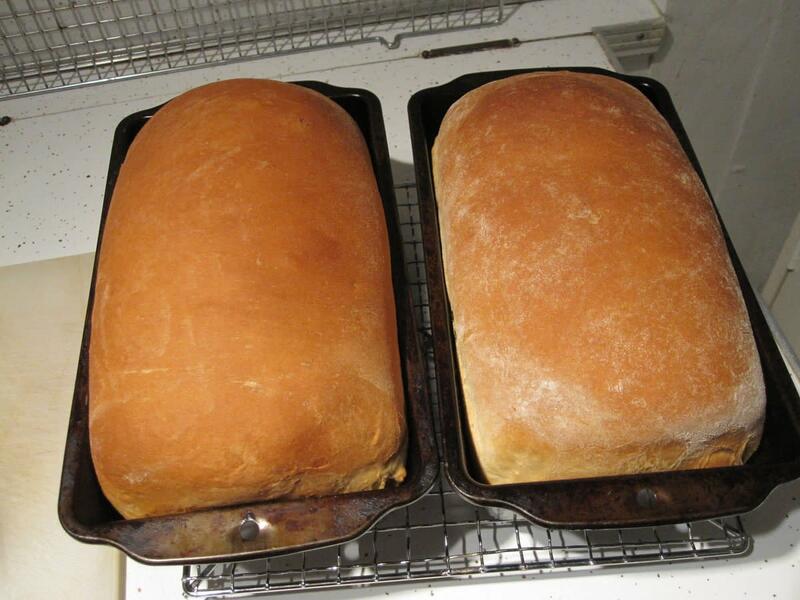 I have rarely had a bad piece of bread, especially if it's homemade. I love the stuff. Audrey, you and I are certainly kindred spirits. Thanks for stopping by. One of my favorite foods! I never met a carb I didn't love! RTalloni - Thank you so much. I love focaccia and it was fun putting this one together. Have a wonderful day, and a blessed Christmas. 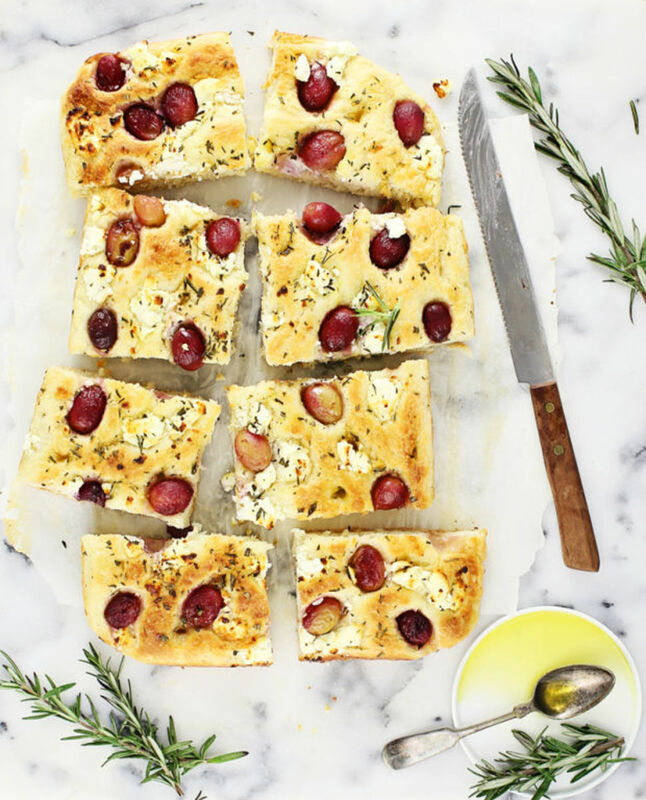 This is a lovely hub on focaccia! Thanks for such good info and the beautifully illustrated recipes. Oh Bill, you are so kind (always). I am doing what I enjoy. And it seems the staff of HP seem to like the style I have adopted. All of my writings in the past few months have been moved to the new niche site 'Delishably', usually within 48 hours of being published. Now I need to get off of this page and read the mailbag. Have a great Monday my friend. Eric - It is very likely that the pizza you had in Rome had a yeasty flatbread underneath--not the cracker thin dough we tend to favor here in the United States. Your question is a good one--if not clear to you, then perhaps some others are puzzled as well, and I need to take care of that. Refer to the section under Shaping and Baking the focaccia, and you will see that one tablespoon of the oil is used for the pan and the remaining 1 tablespoon is brushed on top of the dough. Are you going to bake some focaccia for your family? In the basic recipe, when I say that the 2 tablespoons of olive oil is "divided", I mean that some (not all) of it will be used in one part of the recipe, and the remainder will be used in a separate step. This brought me back more decades than I care to share. As a young American man in Rome I found their pizza was different. The crust was much thicker and more chewy, with just a bit of crunch. Now you make me wonder about it. Please excuse my ignorance but what does "divided" mean? I challenge anyone out there to write a better food article than this one. Seriously! Happy Monday, Linda! You have me drooling. Jackie - I so agree! The aroma of yeasty dough takes me back to my childhood. Every Saturday my mom would bake bread. Thank you for your kind words. These look fantastic, I have got to try them. Nothing like a yeast bread and smell, is there?